There's barbecue and then there's barbecue — you know, the kind that leaves you licking your sauce-drenched fingers as a pile of ribs picked clean is all that remains on your plate. Welcome to Trails End. We’re a no-frills, unassuming little family-run joint that loves to serve meals that will make you re-categorize every other bite of barbecue you’ve had before. Be warned: our place is modest and seating can be scarce. But the food is worth waiting for a table. 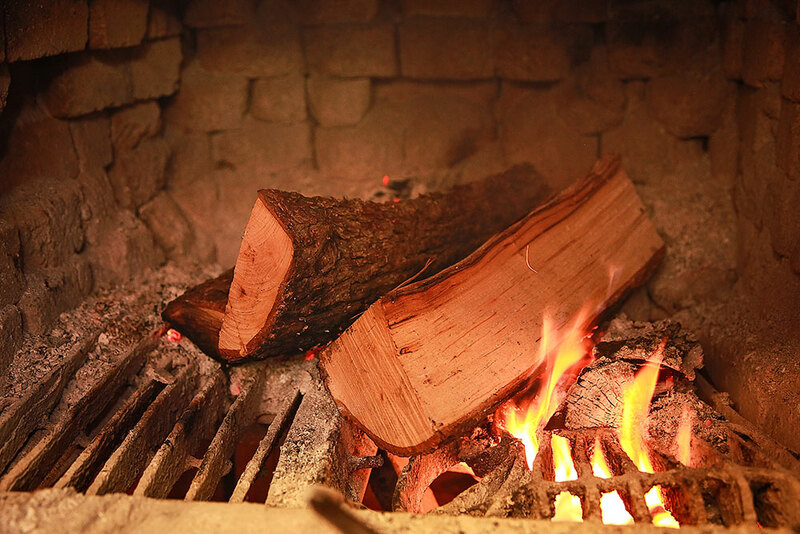 Using locally sourced ingredients, our meats are cooked low and slow over pecan hard wood. We serve smoke-blasted barbecue that’s long on flavor and short on pretense. Around a worn, laminated table inside our dining room, we invite you to try our ribs encrusted in spice with plenty of crisp bark covering an almost lurid pinkness just beneath the skin. The brisket is beautifully marbled, lightly smoky. Or try a helping of our beautiful birds, cooked to a deep mahogany. We believe you’ll find that we live up to the hype. You can order items á la carte or go big with combos. Choose from side dishes like fried okra, homemade potato chips, ranch beans and more. And unlike many barbecue places where dessert is an afterthought and you’d do better just to have more barbecue, the bread pudding topped with a rich rum sauce shouldn’t be missed. Some say the dessert is worth the trip on its own. Come enjoy a taste of the country in our casual urban atmosphere. We hope you’ll follow the smoke and arrive early because when we run out, we run out. Please note that we do not take reservations on Friday or Saturday night. Our tables are first come, first serve. Of course, our staff would be happy to help pull available tables together when your group is ready to be seated. From the time you walk through the door, until you leave, we want to be the best we can be. You will be welcomed like an old family friend and then we make every effort to insure you enjoy your meal and your experience. We know that our success depends totally on your satisfaction with the quality of our food, service and atmosphere. If you find that we haven't reached that goal, let us know. We'll do our best to make it right — right then. We value you as our guest, and your complete satisfaction is our goal. Enjoy your meal. Our eatery’s straight-talking, soft-spoken owner, John Cash, has been a fixture here since he opened the original Trails End in 1997. Growing up shadowing his dad as he prepared meals for the family, Cash found his calling and began crafting his delicious barbecue and sauce over 30 years ago.